Garbine Muguruza has built a fascinating tennis resume. Thus far in her career, she’s won five tournaments – a reasonable tally, but hardly prolific. On the other hand, two of those titles have been majors, Muguruza winning Roland Garros last year and, earlier this summer, taking the crown at Wimbledon. 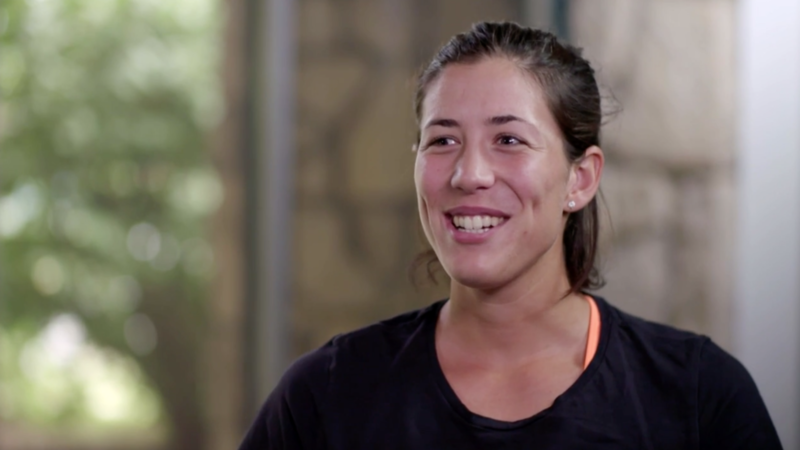 Still just 23 years old, Muguruza’s tennis raises interesting questions: Is she simply a streaky player? Or, is her game still developing, rounding into peak form? Beyond that, what makes this Spaniard tick? And why has she had problems playing well in New York? These were just a few of the questions Mary Carillo sought to address in this engaging conversation. Tough Call: Is Madrid and Rome the Toughest Double to Win?